Felted Soap is a bar of real soap, with wool felted over the surface. The process of ‘felting’ makes the wool adhere and mat together so it forms a solid coat over the soap. First and foremost…it’s pretty. We all want something pretty in our lives right? Felted Soap is also practical. The wool gently exfoliates your skin eliminating the need for a loofah or wash cloth. The covering around the soap helps prolong the life of the bar of soap. So, it lasts longer! 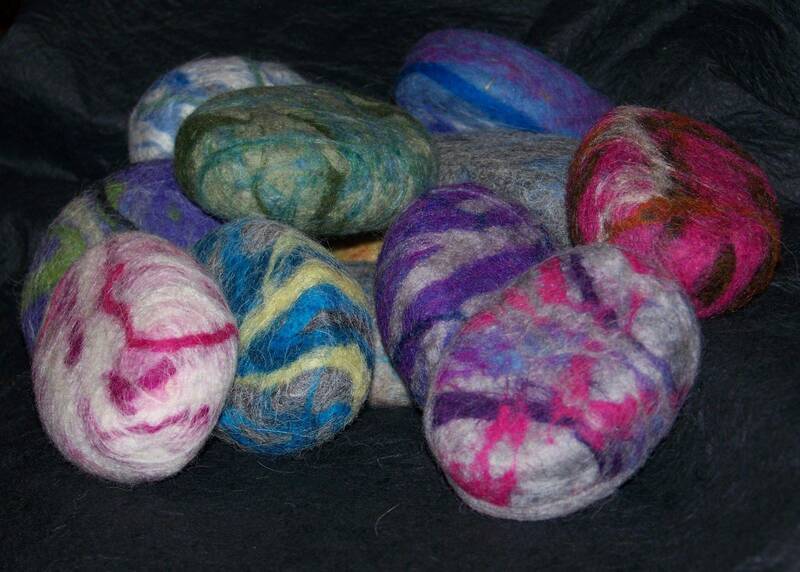 Felted Soap is also a lot easier to hold than a slippery bar of soap. There is no need for a wash cloth or a loofah…just take your new felted soap into the tub or shower and it gently exfoliates your skin. As you use it, the wool will continue to felt (shrink) around the bar of soap until you are left with a little scrubby, perfect for use during cleaning.